The MLB Trade Deadline is Monday and the Cleveland Indians have yet to make a move to better their roster. Many would argue that after their recent winning streak that is now at seven games, the team does not need any other pieces. The Tribe don’t seem to think so, as they are actively searching for an acquisition to help the roster. The next name to pop up on the list of potential trade targets is Detroit Tigers Reliever Justin Wilson. Add the #Indians to the list of teams with interest in Justin Wilson. They've reached out to the #Tigers about the coveted lefty reliever. 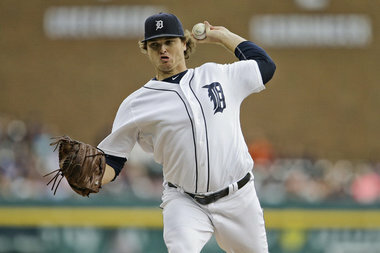 Wilson has appeared in 41 games for the Tigers, posting a 2.75 ERA and notching 12 saves on the campaign. Another tremendous stat on Wilson is his 12.6 strikeouts per nine innings. If Wilson were to join the bullpen, it would sure up the relief staff and make it awfully tough to get past. What will the Tribe do at the deadline? We’ll find out very soon. Until then, many potential options will be discussed.